Autumn had really set in for our penultimate Coin and Banknote auction of the year. Despite the colder weather there were still plenty of keen bidders present to take a look at the 672 lots we had on offer. 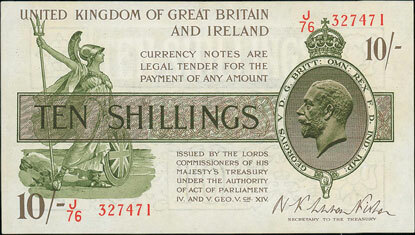 We began the auction, with British banknotes section. Highlights include this Warren-Fisher second issue 1922 10 shilling from the first series issued which realised £259. 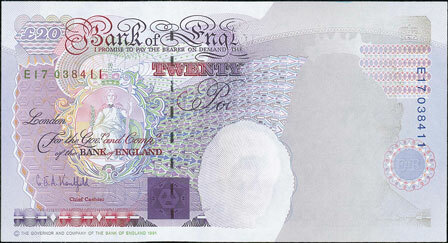 And this more modern error Kentfield 1991 £20, missing the Queen’s portrait, which sold for £112. In the world banknotes section this Canada 1935 $20 achieved £271. 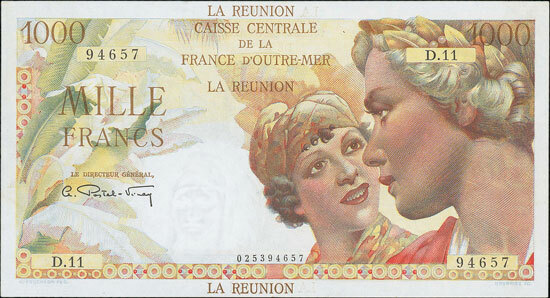 And this beautiful Reunion 1947 1000f realised £247. 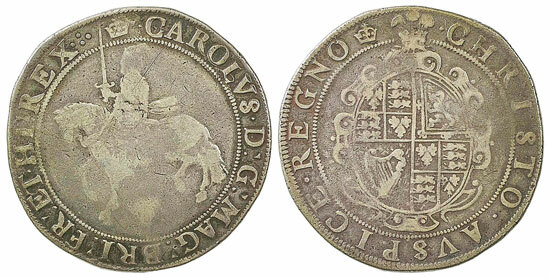 There was plenty to choose from in the British coins section, highlights of which include this Charles I crown which realised £619. 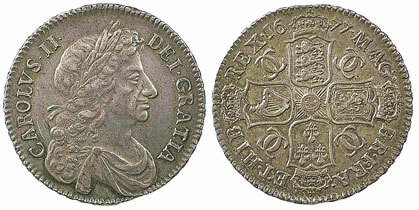 This 1677 half crown sold for £1,357. 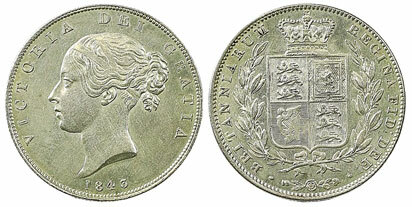 And this 1843 half crown achieved £1,357. Moving on to the gold coins section this 1820 sovereign, graded as very fine, realised £826. This 1822 sovereign, graded as very fine, sold for £767. And this 1832 sovereign, graded as extremely fine, achieved £1,357. In the world coins section this Norway 1888 2 kroner realised £542, over 4 times its estimate! 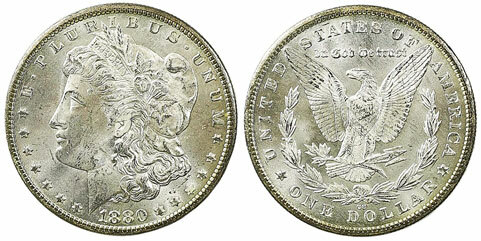 And this USA 1880CC $1 Morgan sold for a very respectable £212. Our next coin and banknote auction will be held on Wednesday 13th December 2017. Look out for the full catalogue for this sale, which will appear on our website in the next few weeks. Also keep an eye on our Twitter and Facebook pages which will include updates of our latest auction news.